The rally coincided with the commemoration of the 1915 Gallipoli campaign during the first world war, when Ottoman soldiers defeated British-led forces including Australian and New Zealand troops trying to seize the peninsula, a gateway to Constantinople. "Fifty people lost their lives in a very painful way [in New Zealand], and they want to turn this into votes", Buldan said at a rally of her pro-Kurdish party in Ağrı, eastern Turkey. Erdogan said Tarrant had visited Turkey twice in 2016. The death toll from the fatal attack on two Christchurch mosques rose to 50 on Sunday, with victims from at least 15 countries: Afghanistan, Bangladesh, Fiji, India, Indonesia, Jordan, Kuwait, Malaysia, Pakistan, the Palestinian territories, Saudi Arabia, Somalia, Syria, Turkey and the United Arab Emirates, The Times reported. He has also showed alleged footage of the shooting at campaign rallies ahead of local elections scheduled for March 31 and told his supporters that the killings were part of an attack on Turkey and Islam. "They're highly offensive and highly reckless in this sensitive environment", Mr Morrison said. Turkish President Recep Tayyip Erdogan has slammed Israeli Prime Minister Benjamin Netanyahu and his son for verbally attacking Turkey. "I've asked for these comments, particularly their reporting of the misrepresented position of Australia on Turkish television, the state-sponsored broadcaster, to be taken down", he said. Opposition Leader Bill Shorten supported Mr Morrison's stance on Mr Erdogan's "foolish" remarks. The suspected white supremacist livestreamed the attacks on social media. The newspaper published an op-ed by Erdogan titled "The New Zealand killer and the Islamic State are cut from the same cloth", in which he argued that "the terrorists may have different ideologies but their attitudes are eerily similar". A police officer stands guard in front of the Masjid Al Noor mosque in Christchurch, New Zealand, March 17, 2019. 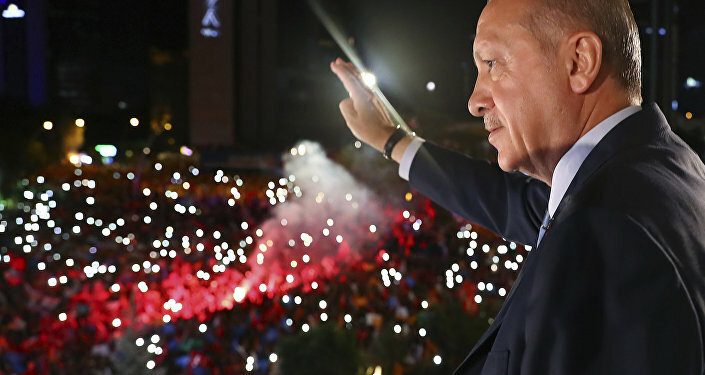 "Ataturk sought to transform his country into a modern nation and, an embracing nation, and I think these comments are at odds with that spirit", Morrison said. "This is not an isolated event, it's something more organised", he said, later accusing the west of "preparing" the killer's manifesto and "handing it to him". "They are offensive because they insult the memory of our Anzacs and they violate the pledge that is etched in the stone at Gallipoli", he said, referring to a promise made by the founder of modern Turkey, Kemal Ataturk, that those who are buried rest on friendly soil. Turkish Foreign Minister Mevlut Cavusoglu later held a telephone conversation with his Australian counterpart, Marise Payne, Turkish Foreign Ministry officials said.